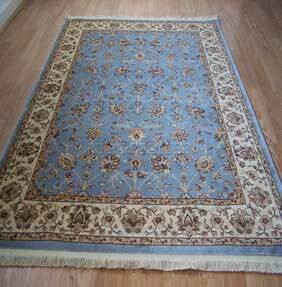 This collection offers an extensive range of rugs suitable for many homes and many styles of decor. Whether you are looking for a traditionally designed broke with muted grey and beige tones and an intricate pattern or a more modern style floral rug, the Beluchi and Tabriz collection will have something to suit you. All of the rugs within this range has a short fringe and a slip resistant backing which make them perfect for a wood floor. They are machine woven from a beautiful, high-quality yard which reflects light giving it a silky, soft texture. So just because this collection is in the cheap rugs section, does not mean they are lacking in quality or value.